MommyDoc: National Walkout Day, March 14... These Boots are Made for Walking. 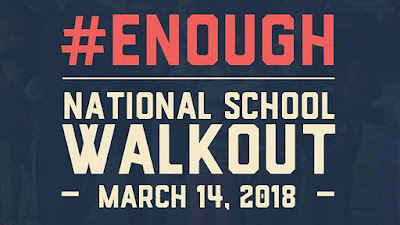 National Walkout Day, March 14... These Boots are Made for Walking. A National School Walkout Day is planned for March 14, 2018 at 10 a.m. and will last 17 minutes in honor of the 17 students and staff members killed at Marjory Stoneman Douglas High School in Parkland, Florida, on Valentine’s Day. The heart of the nation has seemed to shift overnight regarding the debate on guns, but this change has been almost two decades in the making. United and Delta Airlines pulled their support for the NRA, Dicks’ Sporting Goods will not sell assault-style weapons, and Walmart plans to raise the minimum age to purchase a gun to 21 years old. I am a pediatrician. I have sat on the sidelines for far too long -- I watched from a front row seat as frightened, grieving children who survived the shooting at Columbine High School on April 20, 1999 struggled to put their lives back together. My pediatric internship began June 23, 1999, at the Children’s Hospital in Denver, Colorado, approximately 20 miles north of Columbine High School. Up until that time, a mass shooting inside the walls of a high school had been almost unimaginable. Many students who had survived by hiding under a desk in the library that tragic day crossed my path over the next three years. In reality, every student and teacher inside Columbine High School was irreparably damaged forever; they lost a huge part of themselves on that solemn, heartbreaking day. Why has so little changed in almost 20 years since Columbine? I don’t know. Why has so little changed since the mass shooting at Sandy Hook where 20 children and 6 adults were gunned down in cold blood? I cannot understand. Why has the mass shooting in Parkland, Florida galvanized the nation? Because now, it is our innocent children leading the fight for meaningful change. “Silence in the face of evil is itself evil. Not to speak is to speak. Not to act is to act.” These are the immortal words of Dietrich Bonhoeffer, a German pastor and theologian, who was executed for his anti-Nazi beliefs in 1945. Unspeakable damage is being done to our children and it is time we, as parents, teachers, administrators, and community members stand with them. Now is the time to speak and the time to act, before more children die. At Columbine High School, it took only six minutes to kill 10 and wound 12. At Sandy Hook Elementary, it took a mere five minutes to kill 26 and wound 2. At Marjorie Stoneman Douglas High School, it took just 7 minutes to kill 17 and wound 14. These statistics are sobering. As a pediatrician, I have spent over two decades acquiring knowledge on adolescent growth and development. Teenagers acquire higher-level thinking in the form of cognitive competence, which includes the ability to reason effectively, problem solve, reflect, think abstractly, and make plans for the future. Linear, black-and-white develops into a broader understanding of the shades of gray. These new capacities allow them to engage in mature decision-making with a depth they did not previously possess. Society is not giving them enough credit. Teenagers are capable of a great deal more than we recognize. This is the moment where we should stop talking, give these young people the floor, and listen to their words. Their opinions matter. Their continued growth and development matters. Their mental health and safety matters. Their contributions matter. Their future should matter to all of us. While there are no easy solutions, I support the efforts of every student participating in National Walkout Day as they endeavor to bring much-needed attention to gun violence inside our schools. Our children are actively engaging in a form of civil disobedience for likely the first time in their lives about a critical safety issue they face every day. Young people are depending on the courage of the nation and our lawmakers to do what is right, which includes enacting bipartisan common-sense gun safety regulations that could literally save their lives. 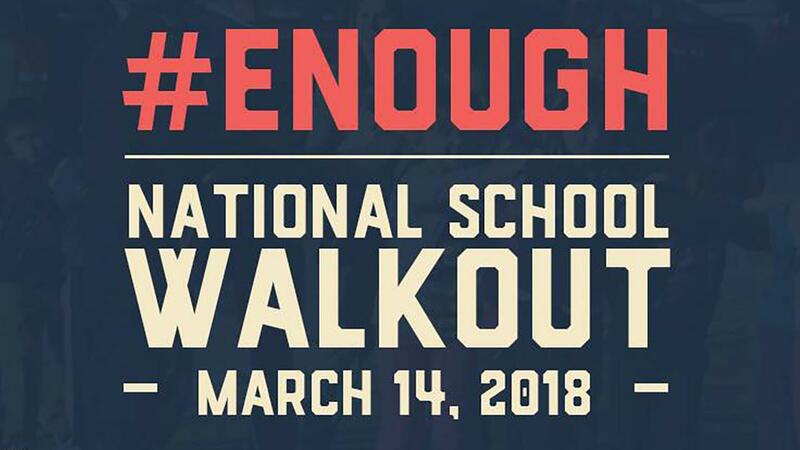 Please join this generation of motivated students from Parkland, Columbine, Sandy Hook, and many other schools across the country to support their efforts, on March 14, National School Walkout Day. While I may not agree with every idea or proposal of these young people, I respect them, I salute them and I validate their strong stand against what they see as injustice. I am a pediatric nurse practitioner, a member of the NRA and I 'carry' to work every day. It's not the guns we need to fear, it's the nuts who look at schools and God forbid, a pediatric practice, as a soft target. That's what these places are for the sick people who want to commit mayhem. While I pray that I am never in a situation to have to pull my gun, I do train, and often, so I am quite proficient with it. While shooting at a range obviously is not a life or death situation, I don't know what else I can do. I refuse to be a sitting duck. I do ask all my patients (who do not know I am carrying) if they have a gun in the house, and if it is locked and inaccessible to kids. I also ask 6+ year olds, what would they do if their friend brought out a gun and said 'look what I found'. Answer - put that down, run and yell to anyone around he has a gun! Then the police should be called and the parent/guardian arrested for improper care of a firearm.